Are you curious about Astral Projection or how to have an Out Of Body Experience (OOBE)? The following are 30 innovative techniques for inducing astral projections and OOBE’s! Please note: the following techniques should be performed only in deep trance or sleep paralysis. You are most likely to achieve this state by following one of these approaches: As soon as you wake up in the morning, resist the urge to move and keep your eyes close. If you do it right, you might still be in the light sleep paralysis, trapped in between dream and reality. This is the ideal state that can become a gateway to astral projection if you use one of the techniques below. Go to sleep as you normally do. Set an alarm, so it wakes you up in 4 or 5 hours. Once you wake up, get out of bed (it’s important) and keep yourself busy for about an hour. Read a book, or browse AstralForum.org for inspiration. After one hour, come back to bed and lay down on your back. Allow yourself to fall back asleep – if you do it right, you are very likely to enter a sleep paralysis within 30-50 minutes. This is the perfect state to try one of the OOBE techniques below. This OOBE technique is one of my favorites. Before you go to sleep, choose a spot in your bedroom. It can be anything that you are well familiar with: bookshelf, closet, door…Once you’ve chosen the spot, take a close look at it. Examine it carefully. Pay attention to what it looks like. Touch it and memorize all the sensations. Now, go to sleep. As soon as you wake up, shift your awareness to the spot you had chosen earlier. Visualize it as vividly as you can for about 1 second, and return to your usual focal point and observe the darkness in front of your eyes. Keep staring in the darkness for 1 second and repeat this 2-step visualization over and over again, as if you were a yo-yo moving back and forth. This focal point shifting will likely to cause vibrations and eventually will result in full separation from your body. Imagine yourself falling down incredibly fast. Try to feel all the sensations that accompany free fall. Feel the speed of your free fall. If you do it right, you might experience vibrations and a general sensation of “not being sure where you are in space.” If any of OOBE symptoms occur (vibrations, buzzing noises, voices, rapid heart beat), continue your visualization. When you feel like you are very close to projecting, visualize yourself hitting the ground. Sudden collision can cause a sudden separation from your body. Start staring in the dark space behind your eyes. Pay attention to the patterns of light that will begin to form in front of you. Wait until they transform into recognizable figures and objects. As the realism of the observed shapes increases, you will be able to either separate from your body, or enter the observed scene and begin lucid dreaming. OOBE Inducer Software (OIS) is a browser-based software that has been developed by Astral Forum. Is now available for free. OOBE inducer is very easy to use. All you have to do is click the START button and go to sleep. After 4.5 hours of sleep, you will be woken up by a recorded voice message. The voice will remind you not to move and keep your eyes closed. As you fall back asleep, another voice message will wake you up and remind you to stay still. After a series of such alarms, your mind will become quite awake and you will reach the state of sleep paralysis. Once in sleep paralysis, it will be very easy to induce astral projection using any of the methods listed here. This astral projection technique was created and popularized by Robert Bruce. It is perhaps one of the most popular OOBE techniques among practitioners. I also used it a lot of time with success. The idea is easy. Imagine that there is a long rope hanging right above you. Without opening your eyes or moving your physical body, visualize yourself reaching up towards the rope and start climbing up. Try to feel all the sensations that usually accompany climbing a rope. Feel the tension in your arms (not real tension – keep your body relaxed!) and the weight of your body. Climbing the rope will cause vibrations and their intensity will increase as you go. Continue to climb faster and faster to speed up the process, until you fully separate and achieve out of the body experience. This astral projection technique was discovered by our moderator the Witch. The idea behind this method is that your body falls asleep very easily when you are exhausted. If you figure out a way how to keep your mind awake, you will easily reach sleep paralysis and OOBE as a result. Here is what you have to do. Don’t go to sleep until you feel too sleepy to keep your eyes open. Lie down in uncomfortable position. For most people it is on the back. Try to stay aware of all the sensations that accompany the process of falling asleep. Don’t let your awareness fade away. No matter how much you concentrate, your body should be able to fall asleep anyway. Once you pass the hypnagogic imagery / sounds / vibrations, simply try to “get up” without using your muscles. You should be able to easily separate from your body this way. Concentrate on the sounds you may hear in your head. You might hear some sort of noise, buzzing, humming, or voices. Keep listening and you should notice the increase in volume and intensity of the sounds. When the sounds get really loud, try to separate from your body with a rapid movement. Sometimes, the noise itself is enough to separate from the body. Visualize your body rotating along an axis. Feel this movement without having any tension in your muscles. If vibrations occur or rotating motion begins to feel real, continue the technique to intensify those sensations. You might experience loud buzzing noises and rapid hard beat as you proceed. Ignore those sensations and keep rotating. Eventually, you will find it easy to fully separate from your body. This OOBE technique is best performed in the morning, right after waking from sleep. It requires that you keep your eyes closed and remaining motionless at all times. Try not to concentrate too much on anything and allow yourself to fall asleep, just for 10 seconds. 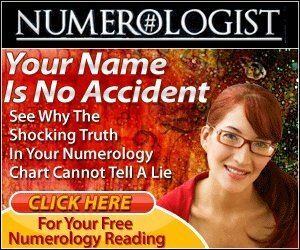 It will trick your brain into thinking that you are actually going to fall back asleep, which will induce a sleep paralysis and generally will put you into a state from which you can easily enter astral projection. After 10 seconds of attempting to fall asleep, perform an aggressive attempt to separate from your body. Simply, try to pull yourself out of it without moving a muscle. This is an interesting technique that can be pretty effective in achieving out of the body experience. It is hard to explain how this should be done if you’ve never tried this before. Even though that’s impossible, try to “strain” your brain. Simply try to squeeze it inside your head. You should feel an “imaginary” tension. This might result in vibrations and the sensation of falling down. Continue to strain your brain until the full separation occurs. This OOBE method requires you to strain your whole body without actually using your muscles. I know it sounds weird, but try it. It should give you a weird feeling of some sort of tension inside of your body. This non-physical tension can be your gateway into the out of body experience. When you are in the right state (sleep paralysis or right after morning awakening), strain your body as described above and see what happens. It should immediately give you a sensation of floating, vibrations, perhaps weird noises. If such sensations occur, continue to strain your body until you fully separate. In sleep paralysis, or right after you wake up in the morning, your mind has incredible visualization capacities. It should be easy to visualize objects that you’re well familiar with and make them feel real. Take advantage of this fact and imagine a small object in your hand. Make it something very familiar. You should know exactly how it feels in your hand. It could be an apple, cell phone, your apartment key, or something like that. As you visualize it, try to make it feel as real as possible. Especially, concentrate on the touch – what does it feel to hold this object in your hand? As you continue your visualization, it should become more and more real. At some point, you will realize that you are much more aware of your visualized hand (astral hand) than your real one. As a result of such realistic visualization, you should be able to easily enter astral projection or lucid dream. Visualize a long dark tunnel. You’re in it. At the end of the tunnel there is light. Now, imagine yourself flying through the tunnel, as if you were an airplane getting ready to take off. You’re going faster and faster. At this point you can feel vibrations and noises. Ignore them and focus on your visualization. As you enter the white light at the end of the tunnel, you will separate from your body and the projection will start. I came up with this technique a while ago and it’s been very effective. Once you are in the right state, imagine yourself running as fast as possible. It is important to keep your muscles relaxed. Good visualization skills are not necessary here – you can imagine the sensation in your legs instead. Try to feel the imaginary tension in your muscles as you run faster and faster. Keep your real muscles completely relaxed. This technique will result in vibrations. As the vibrations become very intense, imagine a solid wall ahead of you. Imagine yourself running towards it faster and faster. Finally, hit the wall as you run into it – usually this moment will cause a complete separation and an out of the body experience will begin. This technique is known to cause or intensify vibrations. Once you are in the right state, perform a couple quick left-to-right eye movement. It should throw your focal point off balance and likely cause astral projection, or bring your closer to it by deepening the vibrational state. If you’re a good swimmer, you can use your muscle memory to achieve out of the body experience. Once you’re in the right state, begin to visualize yourself swimming. You should recall exactly what it feels like. Feel all the movement and muscle tension that swimming involves but keep your real muscles completely motionless and relaxed. This OOBE technique has a similar effect to “Rope Technique” – it will gradually increase the vibrations and lead you to full separation. Usually, your focal point is located in between your eyes. That’s where you usually feel your consciousness is. This astral projection technique involves concentrating on the spot right above your usual focal point. It is usually where the third eye is believed to be. Focus on that spot and try to shift your awareness to there. This might cause a sensation of floating and vibration. If it happens, keep doing that until the full separation occurs. Try to wiggle your hand or foot without using your physical muscles. Try to “feel” the movement instead of actually performing it with your body. If you begin to feel wiggling while your body remains still, it means you are on your way to leaving your body. Continue to wiggle parts of your body, make it move more and more without using your real muscles. At this point you might experience vibrations. Keep doing that until the full separation occurs. Once you are in the right state, visualize yourself walking in the room you are currently in. It is important that you visualize it in 1st person perspective, so it actually feels as if this is were your really are. Continue the visualization until it becomes more real than the sensations coming from your body laying in bed. Imagining that you are somewhere else will shift your awareness point away from your body, which will be the starting point of your astral projection. Try this method, it’s really effective. This technique can only be used by a person who have already experienced astral projection it in the past. As soon as you reach sleep paralysis, begin to vividly imagine your previous astral projection. Try to recall all the sensations that accompanied it. Make your visualization as vivid as possible. Imagine what it felt like to separate from your body. Did you feel vibrations? Buzzing noise? Heaviness? Try to recall all the details. While doing that, you might experience the same sensations that will lead you to a new astral projection. Once you reach sleep paralysis or wake up from a sleep, immediately try to roll out of your body to the edge of the bed. Do not use your real muscles. Try to remain as relaxed as possible. All you need to do is to aggressively roll out. Two things can happen: you might find that you are already out of body, or it can cause/intensify vibrations / noises that will lead to astral projection. After soon as you reach sleep paralysis or wake up from a dream, immediately try to levitate upward, parallel to the bed. Do it with confidence, without thinking if it’s possible or not. Remember that your body should remain motionless. This technique can cause a quick separation from the body, or will bring you closer. If the full separation doesn’t occur, try any other method immediately. Upon awakening, try to perform a backflip without using your muscles. This rapid shift of your focal point can result in immediate out of body experience. If it doesn’t happen, try to deepen your relaxation by using some other technique. Imagine you are on the train that is going really fast. You are running through the train corridor towards the end of the train. Imagine how noisy it is in the train while you’re running. This is a great way for your auditory hypnagogic hallucinations to kick in. As you run through the train, try to focus on the noise that you should be hearing more and more intensively. Finally, when you get to the end of the train, jump off. In the moment you hit the ground, you will exit your body. As you lie down in bed with your eyes closed, visualize a field of vibrating energy right in front of you. Feel how the energy vibrates within the field – you can visualize it as a square field of white light pulsating and vibrating in in front of your body. Now, slowly move the vibrational field towards your body. As your body touches this field of energy, it absorbs its vibrations. You will be surprised to see that you will really begin feeling vibrations. Keep moving the vibrational field towards your body, until your whole body is within the vibrating energy of white light. Feel the vibrations running through your whole body. Try to intensify them. Then, attempt to simply roll out of your body. Imagine yourself swinging on a swing. Try to visualize it as vividly as possible. Focus on how it feels. Try to identify yourself with the motion that is experienced on the swing. Shift your focal point onto the swing. Now, try to go higher and higher. What does it feel like? At some point you will experience some of the typical OOBE symptoms. If any of those occur, you can try to separate from your body. In order to do so, try to fall off the swing as you go up in the air. This is when you will exit your body. Progressive separation is also known as French method. It is recommended to use this method when you already are in the vibrational state. Concentrate all your attention on your left foot. Wiggle it a little bit (without moving your physical foot) and try to separate it from the physical body. Do the same with your right foot. Keep doing that will all parts of your body, until you free all of them. 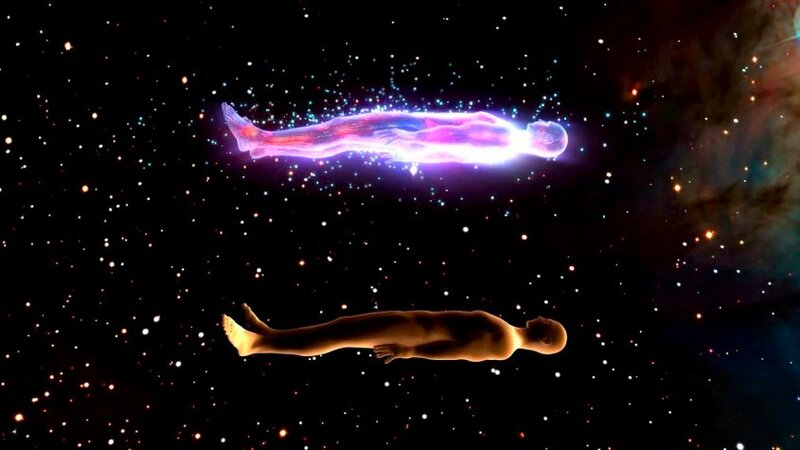 If done right, you will be able to fully separate from your body and have an astral projection. Visualize yourself spinning along the y axis of your body. Remember not to use your real muscles. Perform spinning in your imagination. Try to shift your awareness into the “spinning you.” This technique can be effective when trying to induce vibrational state or immediately separate from the body. Visualize your arms slowly moving out of the body. Push up with your visualized arms as hard as you can. A full separation from your body might occur. Remember not to move your physical body while doing this (it shouldn’t be possible due to sleep paralysis anyway). Concentrate on this action for a while. If you’re doing this right, you might notice the vibrations becoming stronger. You might feel your body swaying a little. Don’t get distracted by any symptoms that accompany the exit.